Hothands. 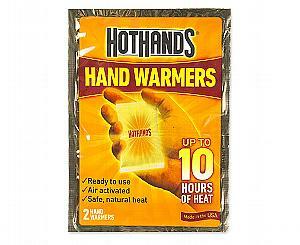 Hand Warmers are rectangular shaped single-use air-activated heat packs that provide up to 10 hours of continuous warmth for the hands. Up to 10 hours of long lasting heat!